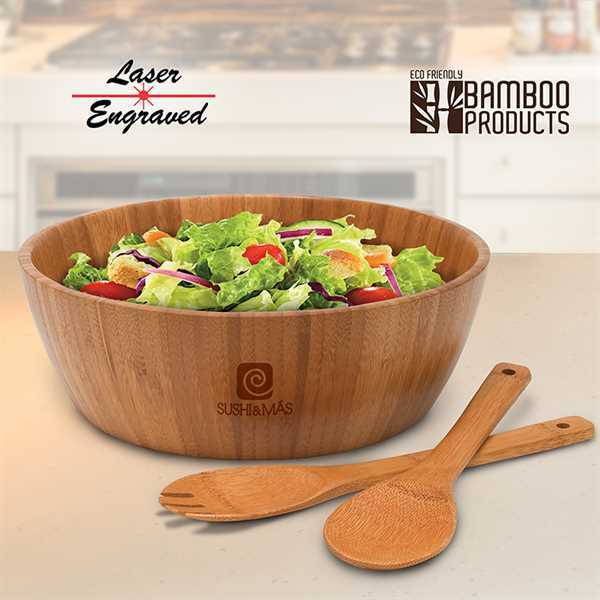 12 inch diameter x 4 inch tall bamboo bowl for any of your favorite foods. Two bamboo utensils, perfect for tossing and mixing. Size: 12 " x 12 " x 4 "